Description Oak dining chair with an inspired design, featuring a curved wooden seat and backrest that sits harmoniously with the solid wooden frame. Available in a number of wood stains and lacquered colours, see wood samples below for details. 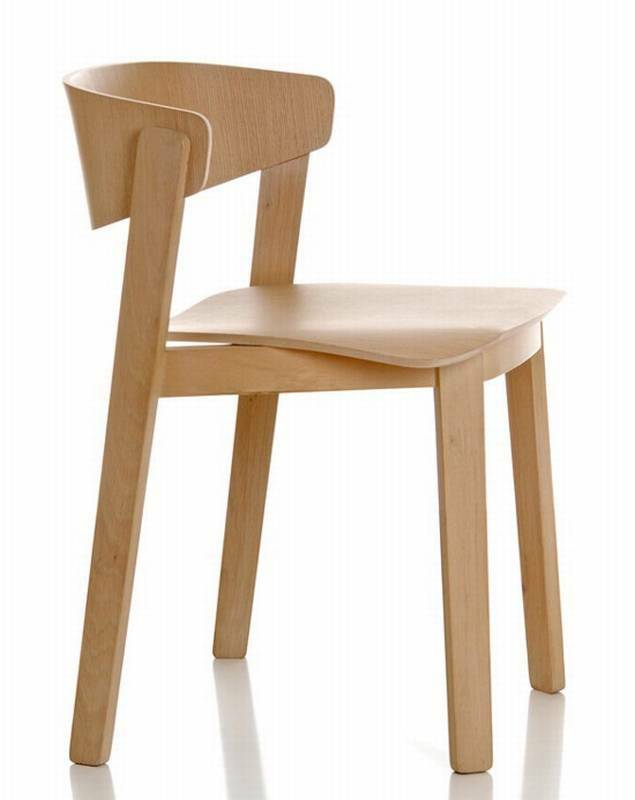 Also available with an upholstered seat, or upholstered seat and back (see related products below).